One of the best treats in the world, at least when I was a kid, was an order of pancakes and sausage from McDonald’s. Of course, it wasn’t as good as a Personal Pan Pizza to eat while watching Teenage Mutant Ninja Turtles, but it was probably the next best thing, and a pretty rare treat considering how much McDonald’s we’d eat for lunch and dinner. Most of the time, I wasn’t out of bed in time for breakfast, and while that’s not the case anymore, I still don’t like leaving the house that early and I rarely have time for breakfast. Fortunately, McDonald’s is going to be helping out people like me. 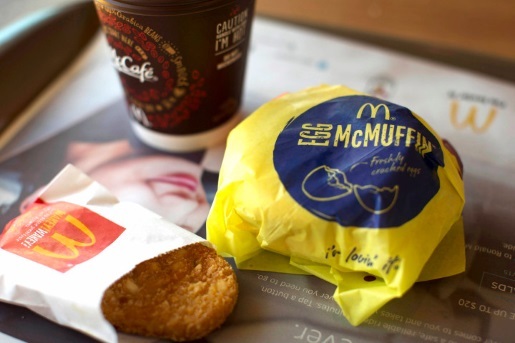 McDonald’s is going to launch all-day breakfast on October 6. Despite their impressive amount of locations and giant stores, McDonald’s is looking to reverse a sales slump it’s suffering. Its US franchisees voted to increase the offerings and attract more customers to its stores, boosting sales by an estimated 200 heads a day. That’s a lot of hotcakes, and not a huge increase in expenses for McDonald’s, since it has all that stuff hanging around already, unlike the McWhopper. Now I’ll no longer have to order my sausage biscuit and reheat it for lunch later; now I can just get a fresh one whenever I want!